Welcome spring in your home anytime in the year with those fun butterflies. 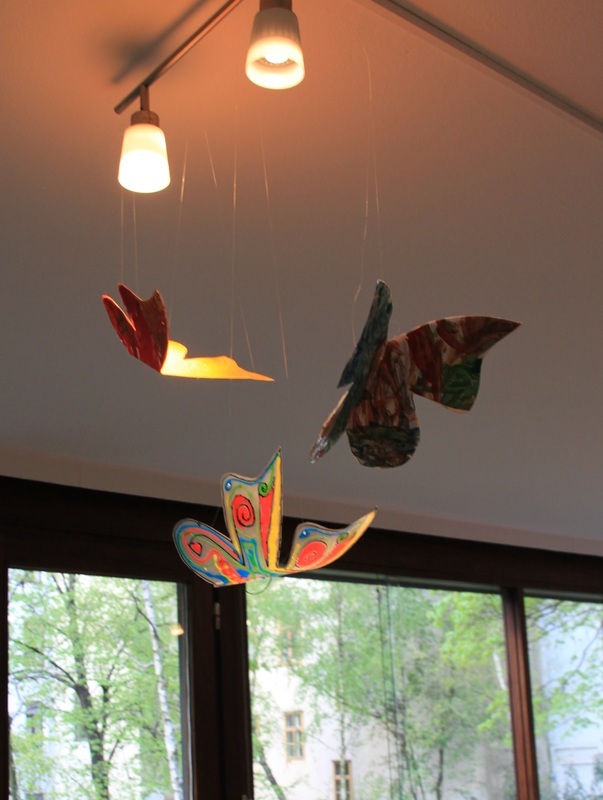 All you need is light cardboard or transparent foil, paints of your choice and fishing cord to hang your creation. 1. Use below template or create your own to cut your butterfly shapes from different materials. 2. Colour them the way you like. 3. After the paint dries, you can either glue two pieces together for sturdier butterfly, or use a single layer. Fold in the middle and hang.